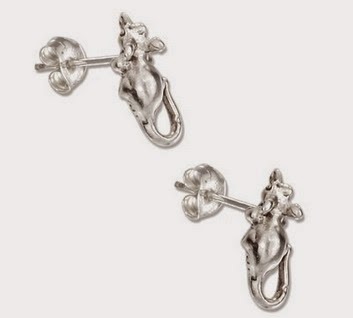 Even though my ears have been pierced for over 15 years and I tried to stretch them in high-school my holes try to close on me if I don't wear earrings for a bit. 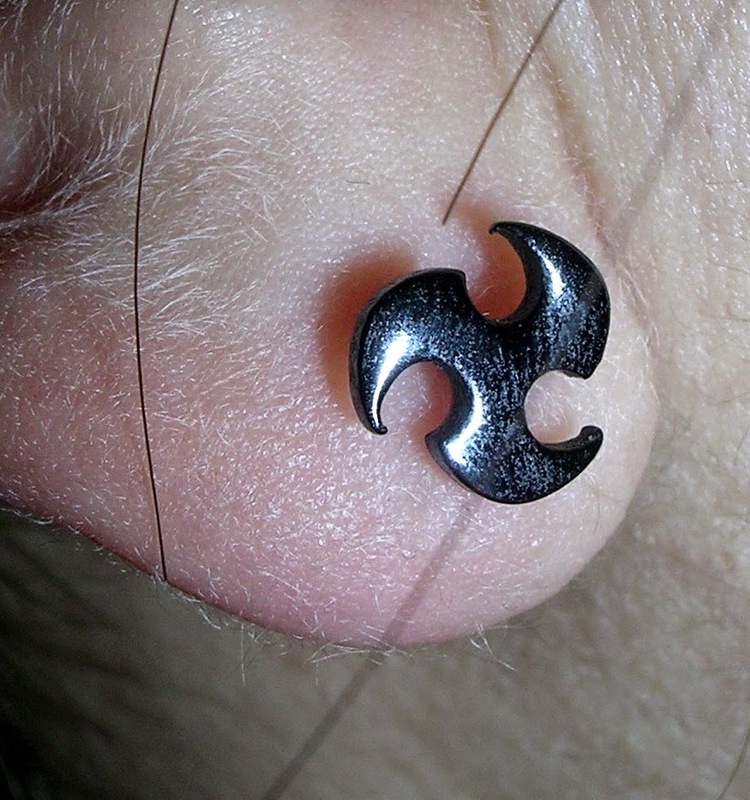 I like my everyday earrings small so I can sleep in them. The fish skeleton earrings my man got me are my favorite. I love dead fish jewelry! They have tarnished a bit, proving that they really are silver. I find that super cool for such a low price. 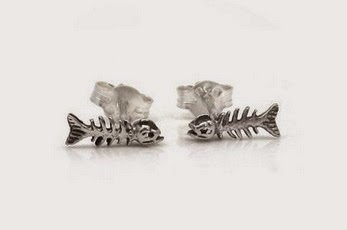 You can get these fishy studs here. I didn't know my ears had so much hair on them! These are no longer in stock, but I would trust other products from this company/seller. The black paint has worn off a little on the back. And one popped off in bed once and I didn't find it for a few months. I'm glad to have it back, though, because these studs are so comfy. 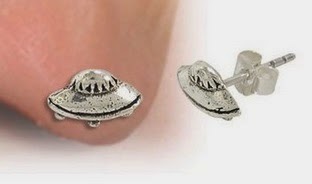 I also found these earrings super cool. 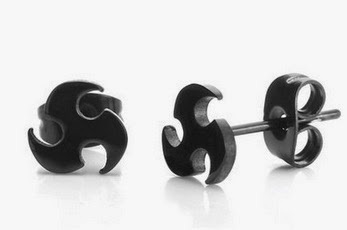 I'm glad studs come in more styles than just little balls. 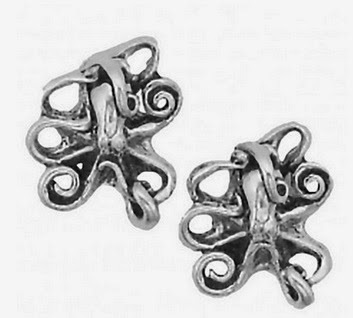 Check out these nifty shapes of silver earrings. 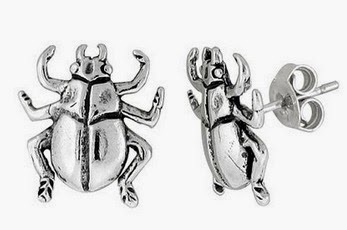 Beetles! I love all insects in the Coleptera family... except when they are keeping me awake bouncing off my ceiling. They are found here. These are called mice, but I know they are really rats. Rats are the best. I really miss my pet rats. Tentacles are the coolest appendages. I also enjoy the spirals. Brings a bit of class to these studs. Have you ever seen a UFO? I have not. But I do want to believe! These elusive sky shapes are found here.